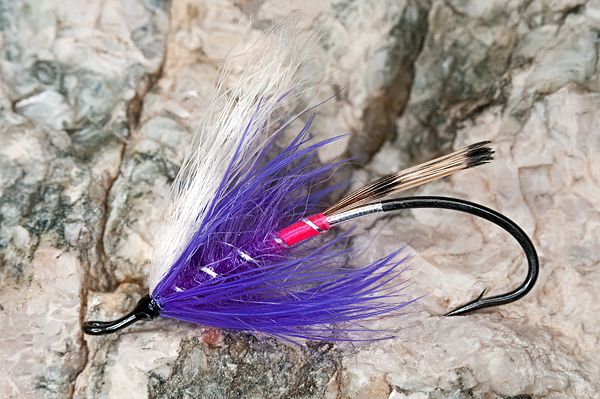 At the Wasatch Fly Tying & Fishing Expo, Rocky Maley tossed me one of his salmon flies. I thought I'd share a quick shot of this beauty because he wraps some mean mylar. This a 3:1 supermacro, so it's three times life size in the image. If you are interested in contacting Rocky, you can reach him at maleyqh@ortelco.net.